Ap Page builder is a powerful module following Prestashop Standards which contained Necessary Features to build professional Prestashop site in minutes. Ap Page Builder has four components as AP Profiles Manager, AP Position Manager, AP Product List Builder and AP Widget Manager. This shows that rationality in the administration and the clear purpose of this module. Ap Page Builder permits user to create as much as profiles and skins they need in a SAME template. User may set up multiple profiles in stores, it means that you can make new other profiles with different layouts, different designs, etc, in the same themes. For example, in winter, you may create a new interface for your store with Santa or Snow by using New Theme or Change your skin. With summer time, we believe a feeling freshness will help you attract customers. Users easily manage all profiles in their stores. When you change or fix something in your store, Quick View will show new interface. Apollo Profile Manager has a list of Profiles, and each profile has different skins. Users only clicks to enable or disable their interfaces in a simple manner. With this feature, we aim at theme developers who create themes for sale. They can create multiple header styles, and also do the same thing with footer, content. The combination of these parts will become many complete themes. 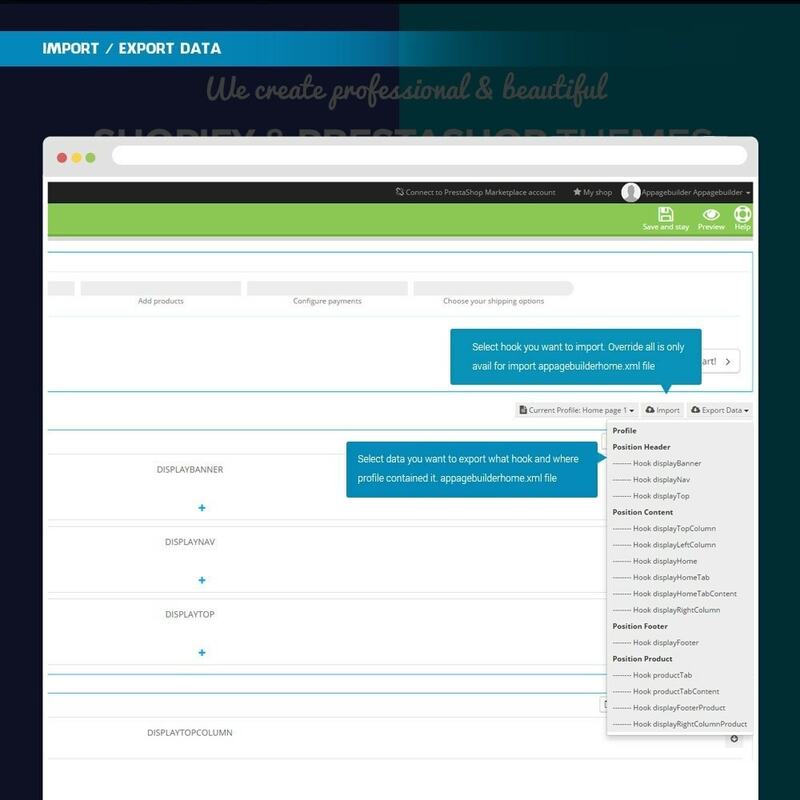 Moreover, with import and export tools, you can move any positions from a template to another one. This tool will help theme developer improve the quality and quantity of themes. Because a profile has many positions such as Header, Content and Footer, this tool is used to manage the list of positions. If users want to configure something, they only need to know which part it is located. It will be listed with its ID, position, name and key, thereby being easier for users. Moreover, user can choose View and Search buttons. To create a completed theme, we use many widgets which could be considered as a frame of each position. 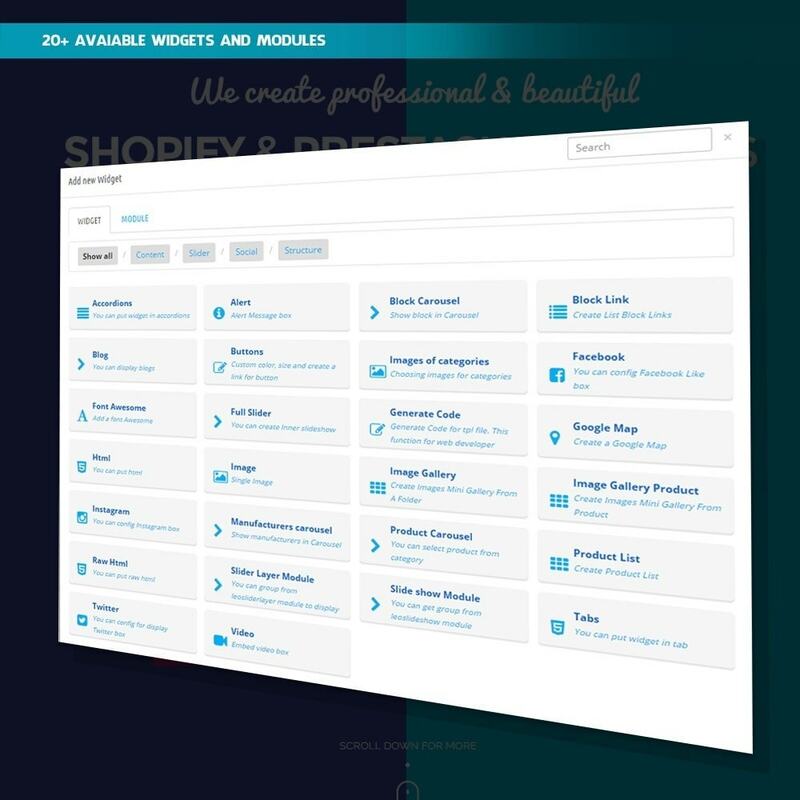 All Powerful Widgets are integrated into Ap Page Builder based on Prestashop Standard. Some examples of techniques we have are listed as below (only contained in Apollo Page Builder). Users have many options to display their products based on this function. 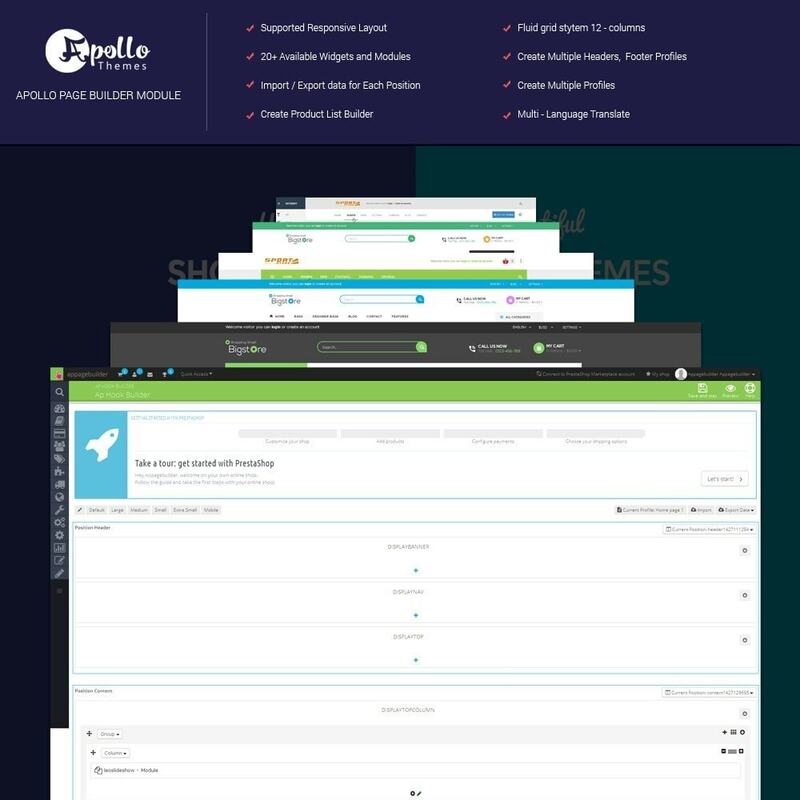 With our Owl Carousel, you can easily drag and drop elements such as widgets, modules and so on. You can also change, remove and organize the content inside, for instance, image, Add to Cart button, name, etc. After creating these function, you can load product list builder into widget to get effect to display your product such as product carousel, product list and accordion. 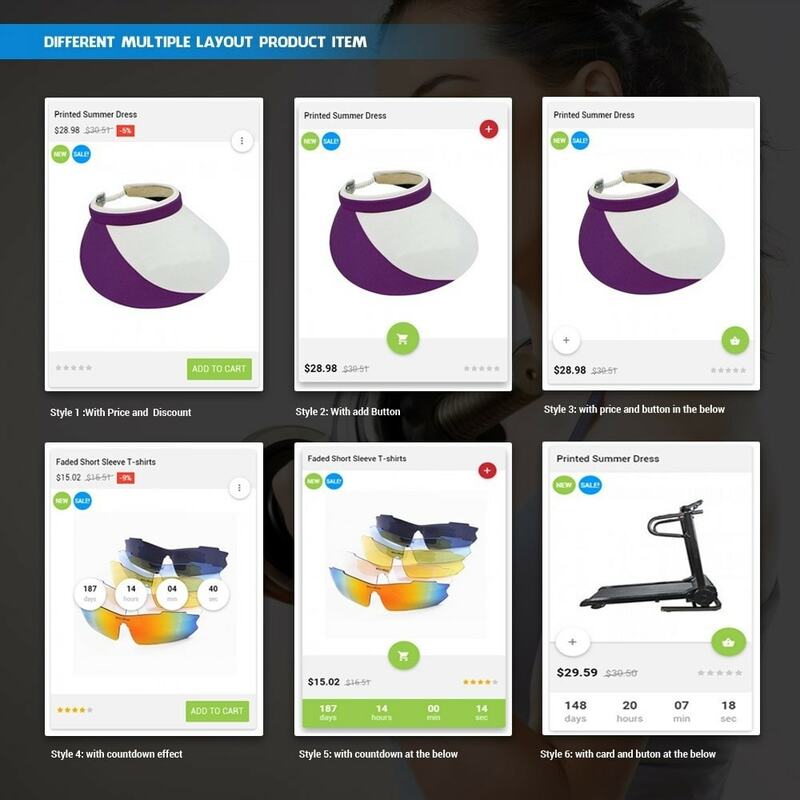 Ap Product List Builder makes the layout interface for Product, it means that users can choose which will be shown in their products such as image, Add to Cart button, Wish List, Quick View and etc. This powerful component has a list of widgets for users, that is to say, they only need drag and drop elements to add or remove these widgets. We create it based on the needs of both consumers and manufacturers. The benefits it brings are undeniable. 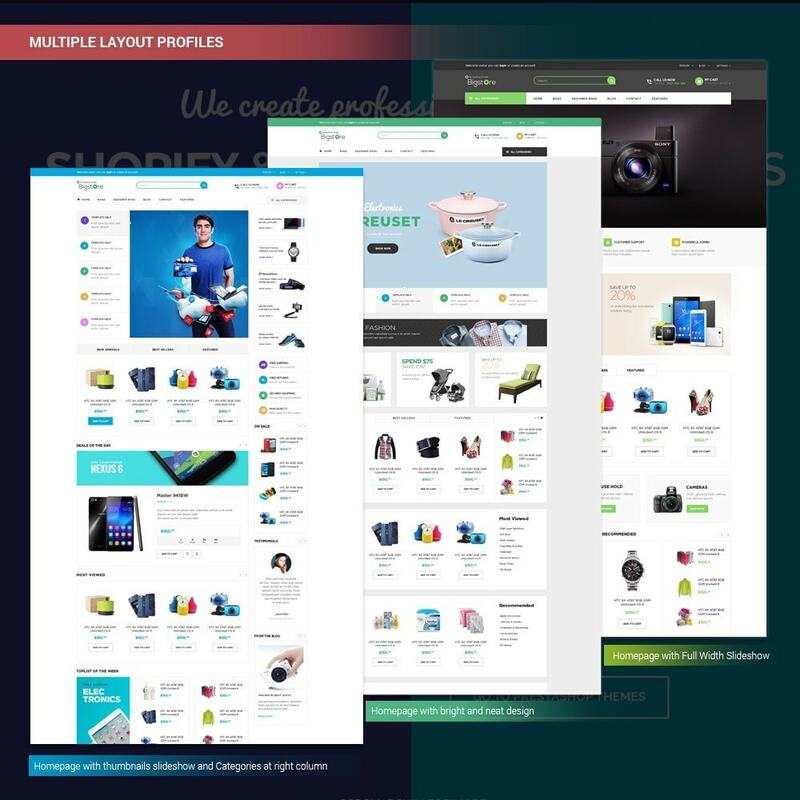 Multiple Stores in a single template, you do not need to invest more, but still have new interface. Multiple Profiles and Skins for promotional activities during a year. Easy to use with 04 powerful components. Easy to install with Live Editor, changes will be shown easily. The module will make your web content richer, more dynamic. One additional advantage is our module supporting a very good cache to help customer improve page loading time. Multiple Headers, Contents and Footers so you can mix to create more products without errors to improve the quality and quantity. Ap Page Builder is integrated with all Powerful Widgets and Modules following Prestashop Standard, so you only need Ap Page Build to build your store. Our modules can run with the Prestashop version from 1.6 upwards, and surely will support the latest version of Prestashop in the future. Finally, user can do all the wonderful things on a single screen to save time and avoid errors. 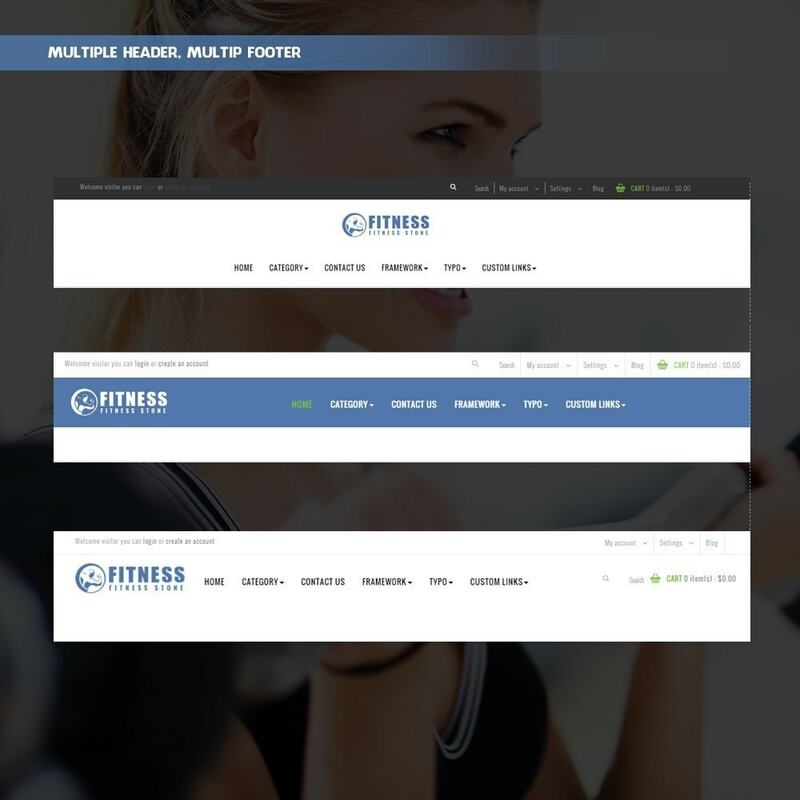 With all the best built-in features and functions as presented above, this Ap Page Builder is worthy of your attention and choice for theme development in such a way that ensure the theme quality and quantity at the same time for the purpose of optimizing your profit.